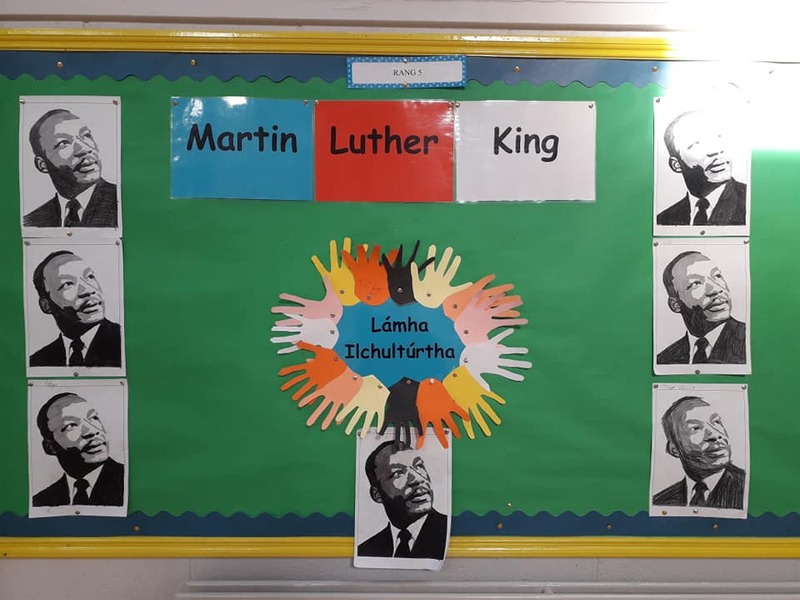 Rinne Rang 5 staidéir ar Martin Luther King an tseachtain seo. 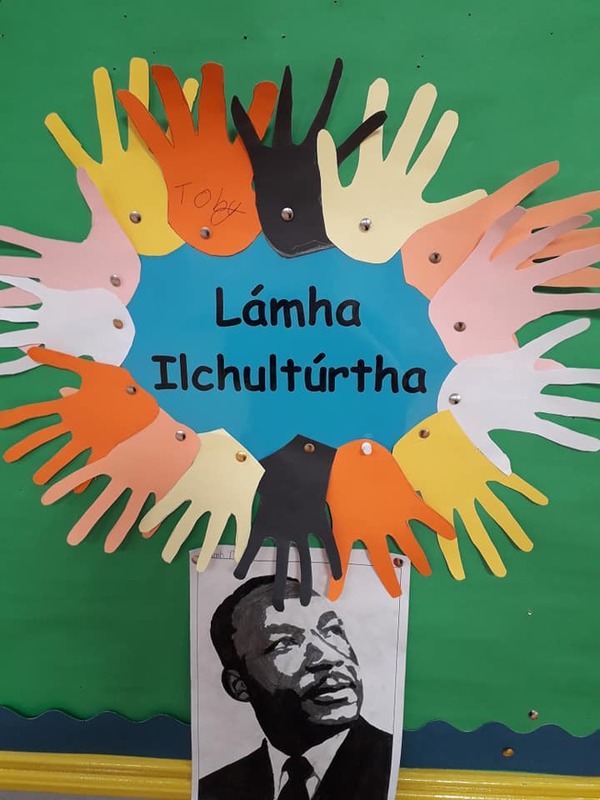 Rinne muid Lá Martin Luther King a cheiliúradh ar an 21/01/19 tríd taighde a dhéanamh air agus gluaiseacht cearta sibhialta na daoine gorma i Meirceá. Rang 5 studied Martin Luther King this week. We celebrated Martin Luther King Day on the 21/01/19 by researching him and the civil rights movement for black people in America.